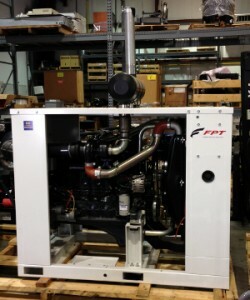 The NEF series is an example of FPT’s technological excellence and state-of-the-art engine design. These diesel engine are available in 4 and 6 cylinder configuration and can be customized to suite a number of applications. EVAPAR also has an industrial air compressor division that specializes in Atlas Copco compressors and accessories. We are your one stop source for all your service, parts and rental needs. We are committed to be the best. Our goal is to provide superior products and customer service! Inquiries about our FPT Diesel Engines and emission control products can be directed to our Evansville office. Please click here to fill out and submit a contact form. Developed to satisfy the most demanding customer requirements, the NEF series is the evidence of FPT technological excellence. Available in 4 and 6 cylinder configuration, with the mechanical or common rail injection system, the N series stands out for its great flexibility. Furthermore, reliability, fuel consumption and performance give the NEF engines the reference in their category. Mechanical rotary pump, with high worldwide serviceability, is the heart of the NEF mechanical series. The system is based on direct fuel injection for accurate fuel delivery and consistent with standard and alternative fuels. The NEF mechanical injection system is the best compromise between a cost effective product and performance. Balancer counterweights incorporated in crankshaft webs, rear gear train layout, camshaft in crankcase, suspended oil pan, ladder frame cylinder block and, for 4 cylinder engines, countershafts arrangements available as options. Integrated CCV (Closed Crankcase Ventilation) system and engine design oriented to high components integration. Water-oil cooler, oil and water pumps are completely integrated in the engine block. Engine specifically designed for industrial applications; lean layout; starting temperature without auxiliaries down to -15°C (with grid heater down to -25°C, with water and oil heater down to -30°C); engine slope up to 35° continuous angle of inclination in all allowable directions. Tier 3 emissions compliance achieved without external EGR, VGT or electronics. All NEF mechanical engines are turbocharged and feature Internal EGR. Air-to-air inter cooler is available as an option in order to reach top engine performance in terms of load response and fuel consumption. The above described features allow OEM customers to optimize engine installation, machine performance, load response and fuel consumption. NEF series engines adopt combustion chambers optimized to reduce oil dilution; they are developed with an optimum engine design in terms of mechanical clearances, piston rings and engine oil system calculation. Worldwide service network. Engines featured with a proven mechanical injection system without electronic interfaces and external EGR. NEF engines are available with a “narrow” or “wide” gear train distribution. Moreover, options are available for transmissions, alternators, radiators, air filters, mufflers, oil pans, SAE standard transmission interfaces, PTO DIN/SAE A-B, air conditioning compressor arrangements; other customized specific options may be available on request.